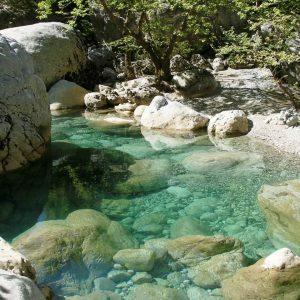 Experience the ideal vacation in a real mountain paradise, in and around Zagori. 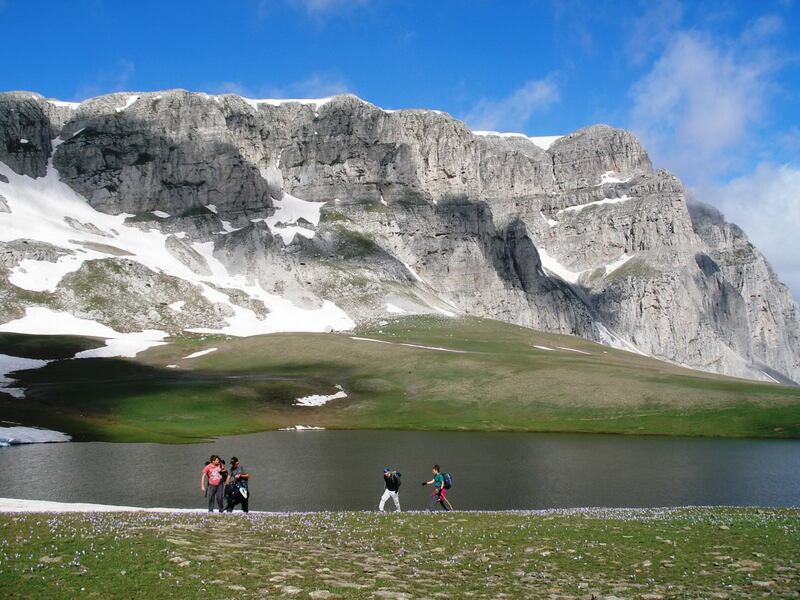 A tour designed for hiking enthusiasts in two of the region’s highlights and Vikos Aoos National Park. 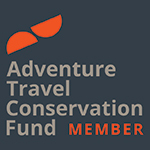 Explore lush nature, awe-inspiring mountains and pristine rivers. Discover beautiful architecture in the picturesque traditional villages. 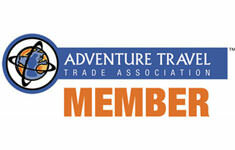 Enjoy fun, adrenaline pumping activities and relaxed, stress-free ones. 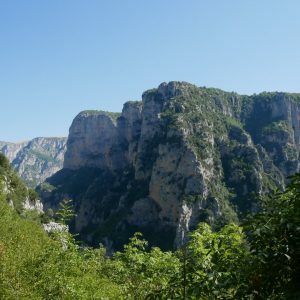 The aim is to walk in Vikos Gorge, an amazing one of its kind scenery and to climb Mt.Gamila and admire the alpine dragon lake, in a limited time. 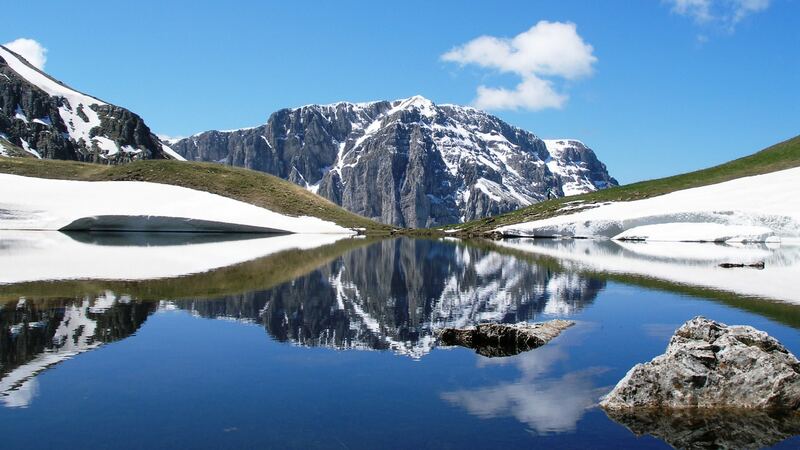 The tour starts and ends in the city of Ioannina where you can fly to. 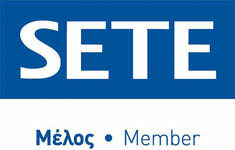 You arrive to Ioannina airport, welcomed by our guides and transferred to Monodendri village (1-hour drive). Settle to your hotel and dinner. 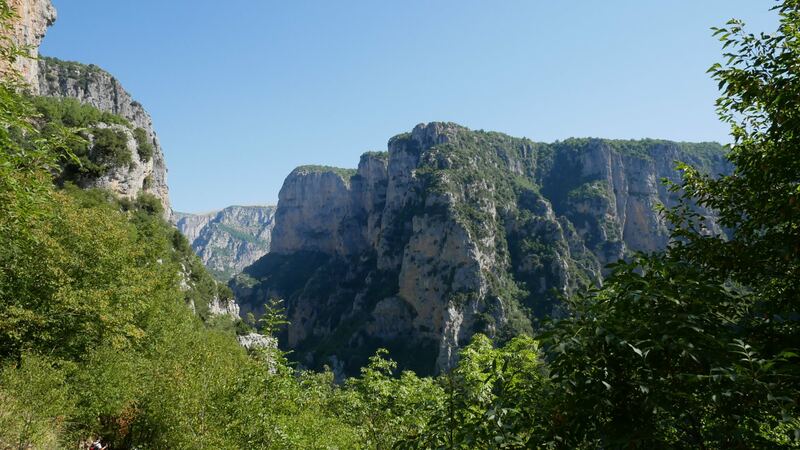 (Optional and depending on your arrival time you may visit the Monastery of Saint Paraskevi, an abandoned monastery situated on the edge of Vikos Gorge. The monastery founded at 1413-1414, consists of a small stone-built chapel, the oldest preserved in Zagori, and offers panoramic views to the gorge. 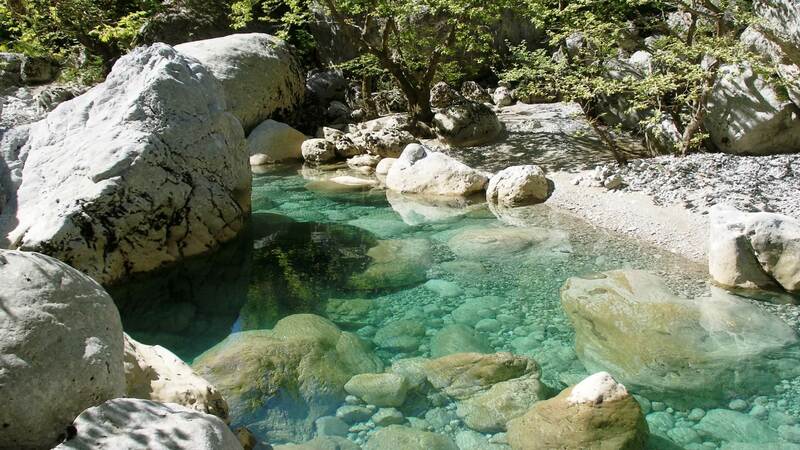 Enjoy a fascinating hike in one of the most beautiful gorges of Europe. 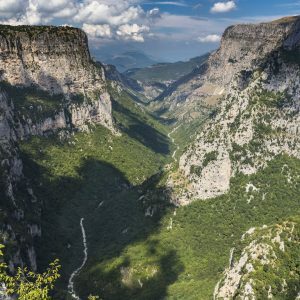 Vikos Gorge, with a length of 20 km, walls that range from 450m to 1,600 m deep, and a width from 400 m to some meters at its narrowest part, is listed by the Guinness Book of Records as the deepest canyon in the world in proportion to its width. 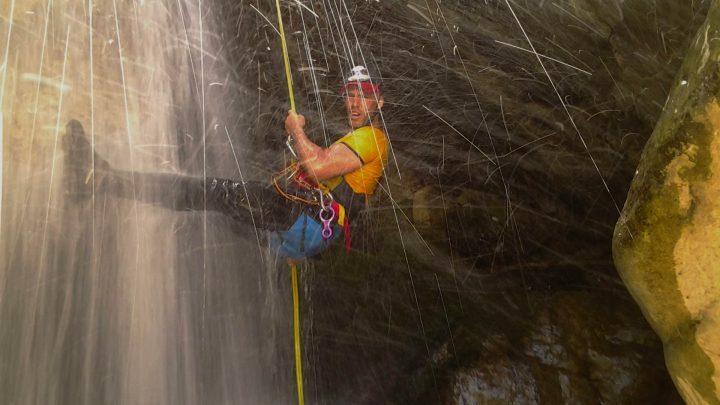 This follows a somewhat arbitrary definition of a gorge that excludes deeper features such as Colca Canyon because of their greater width to depth ratio. 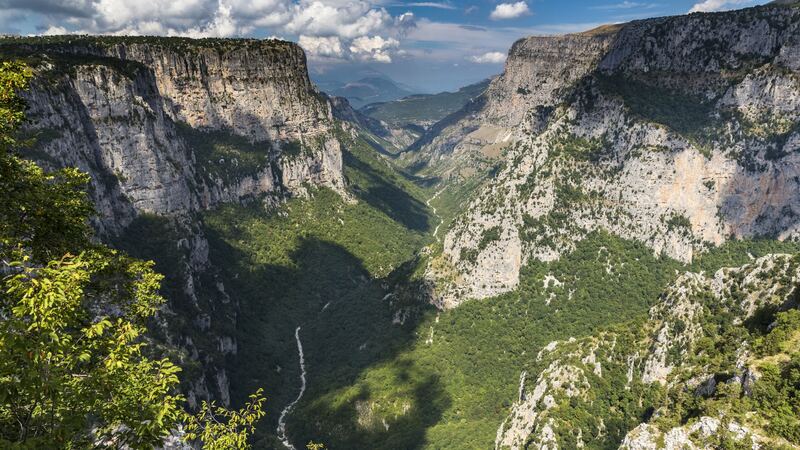 The landscape of the 20 km long gorge, 12 km οf which belonging to the Vikos – Aoos National Park’s core zοne, presents a diverse relief and is characterized by abrupt altitudinal changes. Steep slopes and precipitous rocky cliffs dominate in the middle and higher zones respectively. 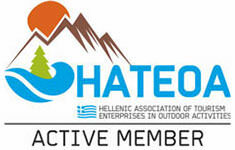 The gorge has been carved over millions of years by Voidomatis River, a tributary of the Aoos. 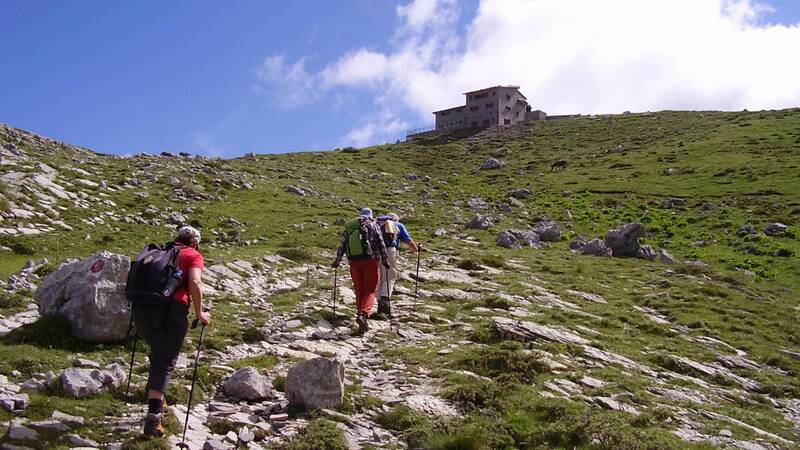 We start the hike at the village of Monodendri and after 45 minutes we enter the gorge. 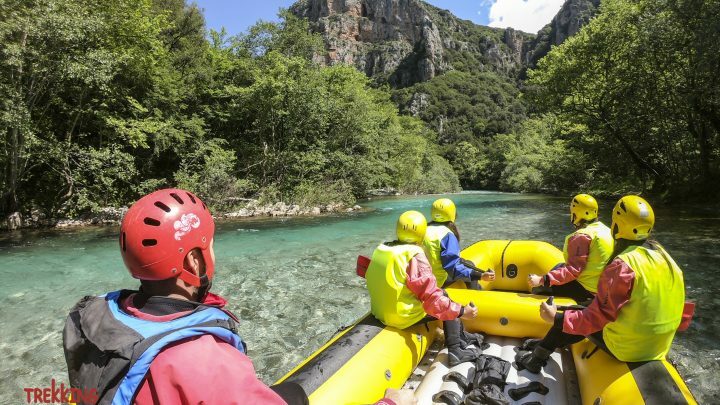 We will need approximately 4 hours until we reach the springs of Voidomatis and another hour until we reach the village of Vikos. 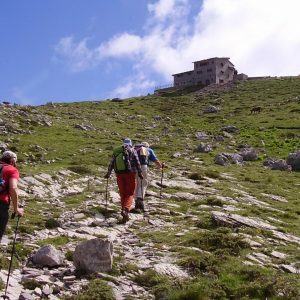 Today’s hike starts with 3 hours uphill from Mikro Papingo to the “Astraka” refuge on Mt. 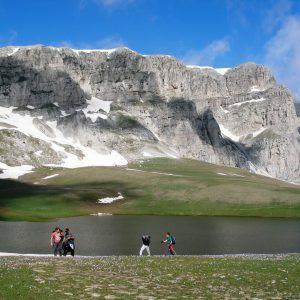 Gamila, at 1950m. 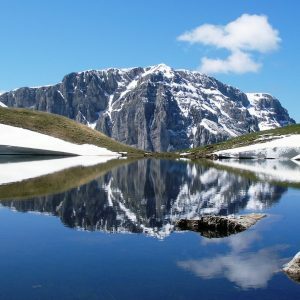 Here we picnic and leave our packs for the afternoon walk to the first of the Dragon Lakes, an hour away across grassy uplands studded with flowers and (until July) some small snowpack. This is a long hiking day and we eventually return back to Mikro Papingo for our transfer back to Ioannina or to another destination.